Slice the tomatoes and lay them out on a platter. Salt them generously. Slice the mozzarella similarly, and lay the slices on the tomatoes. 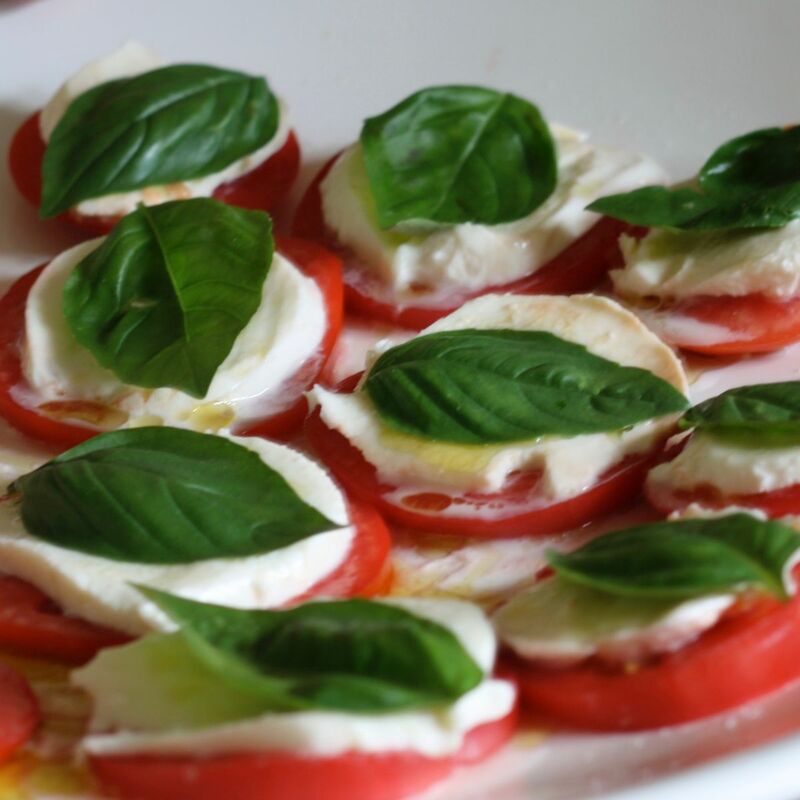 Drizzle with the olive oil, then top each piece with a large, fresh leaf of basil and serve. 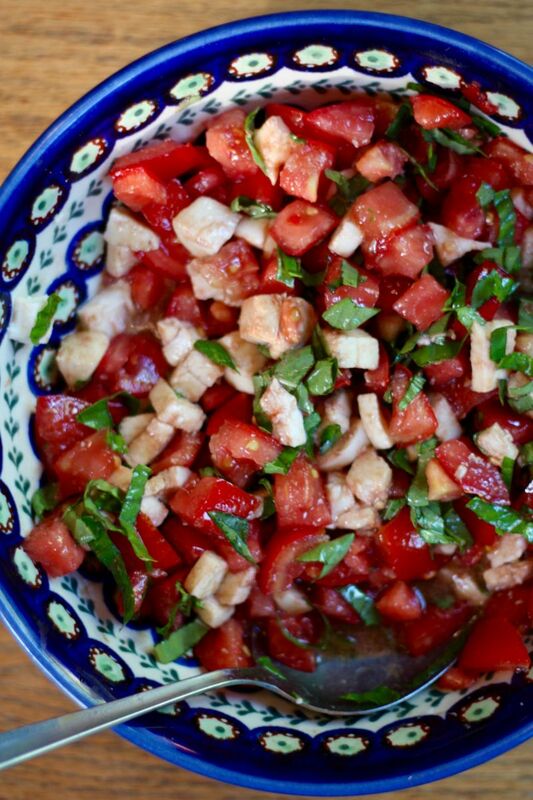 Or: I love the gorgeousness and spectacle of serving the salad on a platter, but you can do it more humbly too: Just dice the tomatoes and cheese, sliver the basil, and toss everything in a bowl with the olive oil, 1 tablespoon balsamic vinegar, and salt to taste. Why do I use balsamic vinegar here, but not in the above version? I don’t know. But that’s what I do.